Art Collective WA tells the stories of Western Australian artists through our Book Club. We invite you to join our Book Club for 2019 as we publish our third book, this time on the work of Eveline Kotai. Art Collective WA was established in 2013 with the aim of improving the visibility of significant Western Australian artists. We invite you to join our Book Club to continue to tell the stories of established WA artists. The Art Collective WA Book Club is a deliberate contribution to the art history of Western Australia. 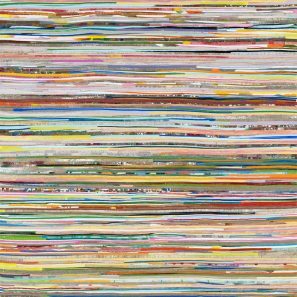 The initiative publishes monographs about WA artists to firmly place the artists and their work in the Australian art context. Our Book Club supports a publishing program that we kicked off in 2015, with the production of our first monograph about Trevor Vickers in 2016. Our next book soon followed the next year, on the work of Jeremy Kirwan-Ward. We are now very excited to embark on our third book – the first publication to focus on the art and 40-year career of Eveline Kotai. Eveline’s professional art practice traverses the media of painting, drawing, print and stitched collage. It conveys technical aptitude and a deep sense of subject – leading to the production of continually unexpected colour, pattern and textural combinations. 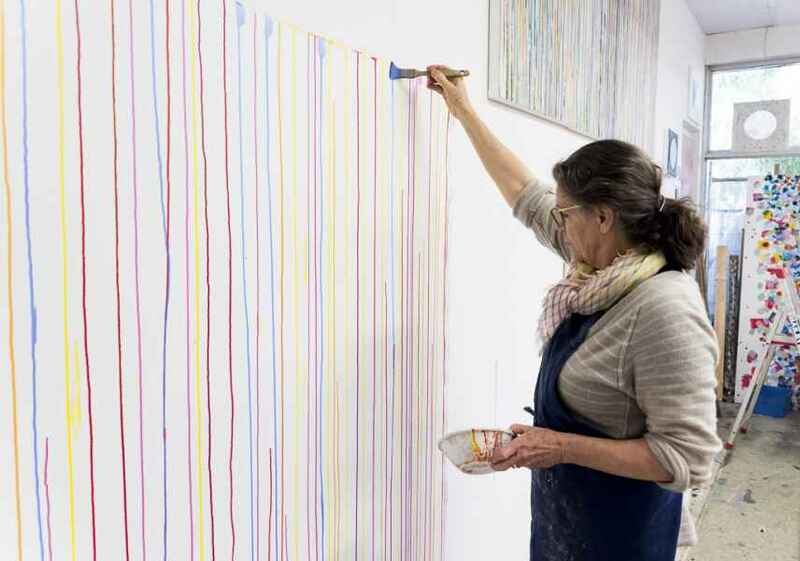 Eveline’s work can be found in many national collections, including the National Gallery of Australia, the Art Gallery of Western Australia, Parliament House and Wesfarmers. Why do we publish books on artists? The publication of monographs on our artists is appreciated as an important way of capturing their part in the art and culture of Australia and to inform people about their incredible careers. What does the book look like? The 150-page monograph will feature over 100 colour plates, with essays by writers Julie Ewington, Nyanda Smith and Helen Thurloe and photography by Simon Cowling. How to join our Book Club? We are aiming to raise $10,000 by 31 March 2019 to contribute to production costs of design, print, editing and writing fees. We value your support! Your tax-deductible donation through the ACF will go directly to the cost of producing this major publication. Individual donor contributions over $250 will be acknowledged in the book, unless you prefer to be anonymous. Contributions under $250 are most welcome and all donations over $2 are tax deductible. Corporation and institution contributions start at $2500 and are also eligible for tax-deductibility. Talk to us about ways of supporting the project. 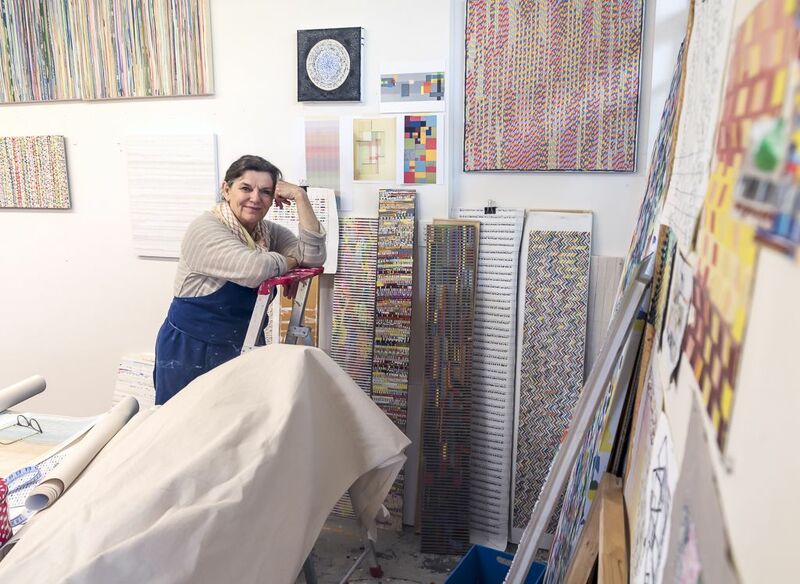 (Photos of Eveline Kotai in her studio by Tanita Seton). Art Collective WA is a not-for-profit incorporated association, run by artists, for artists. Established in 2013, our sole aim is to improve the exposure of established Western Australian visual artists in Australia and internationally. Our permanent exhibition space in Cathedral Square in the heart of Perth city shows artists’ high quality work. Other programs include participation in art fairs (Sydney, Singapore), artist talks and interviews, as well as publishing (our Book Club). We support our operations through art sales and leasing, a Benefactor and donor program, and some public project funding. Qualified professional artists are invited to join the group through membership. Currently we have 29 artist members, who understand there is a collective approach to running the organisation and that the outcomes reflect positively on members’ careers.